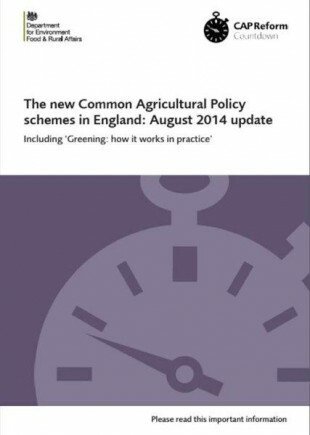 Further information on the new Common Agricultural Policy has been published today. This will help farmers in England learn more about how they can meet the new EU-wide requirements from 2015 to help plan their next cropping year. There are still some rules to be finalised by the EU Commission, and Defra is seeking further details to help us provide more information to farmers on all outstanding issues. I will press the Commission for increased clarity and flexibility on greening, including a review of the three crop rule. I will champion the interests of our farmers so that they can continue to concentrate on what they do best – producing top-quality, world-class food. See the new leaflet for more information, and we will continue to post regular updates here so farmers, agents and agronomists know exactly how to claim and by when. Is there somewhere we can send questions about this (or an FAQ page online) as there are things not clear that could probably be cleared up very easily. Our small holding is just over 5hectares but have entitlements for only 4.6hectares. Is it going to be better for us to buy in 0.4 entitlement or sell ours? Does this all have to be done before 21st Oct?